*Okay… maybe not forever… but certainly longer than a week or two. I love fresh herbs in cooking. They are versatile, flavorful, and add so much for so few calories. The only thing WRONG with fresh herbs is how much I hate throwing them away after they die from being smushed under a cucumber in my crisper drawer for 4 days. So, whatcha gonna do? 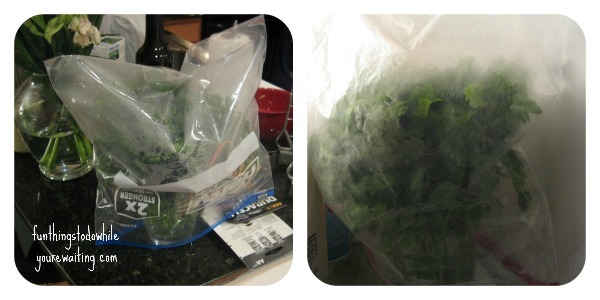 You find a trick to keep store bought herbs “fresher”… LONGER. Just like flowers, store-bought herbs need water, too… to sustain their “life”. The quicker you can get your herbs into water, the better… but there have definitely been times that I’ve thrown them in the crisper drawer for a few hours while I had some tea and tried to forget about going to the grocery store. So, here’s the trick. 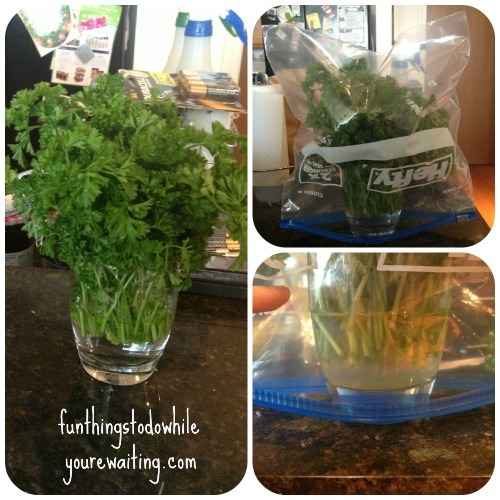 Remove herbs from all packaging and twist ties. Gently unpack and fluff your herbs and remove any stalks that are gross and rotty. Do not wash them. You can spritz them lightly with water, if you like. Get an appropriately sized tumbler glass and add about an inch and a half of cool water. Place herbs in glass, making sure that there isn’t TOO much water. You want just enough of the stalk to be able to get water but you don’t want to drown them either. Then, you gently cover it- like a tent- with a gallon-sized plastic bag. This creates a self-sustaining ecosystem that only requires you to change the water every few days, or when the water starts to turn murky. Once a week, when you change the water, uncover the herbs and remove from glass, remove the undergrowth and anything that looks gnarly. Next, take a pair of kitchen sheers and cut the area of stems that had been submerged. Replace cold water, and re-situate herbs back in the glass and rearrange plastic tent covering. Geez. It takes longer to write out this simple process than to do it. One last note, the parsley thrives on the counter in room temperatures, while the cilantro loves the cooler temperatures of the fridge. Look below and see how steamy and happy they are! Better Living, Healthy, What's Cookin'? 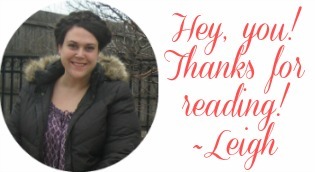 Better Living, cilantro, fresh-cut, greenhouse, Healthy, Leigh, money saving, parsley, What's Cookin'? Previous Article← Breakfast Burritos and Away We Go.